1823’s “‘Twas the Night Before Christmas,” also known as “A Visit from St. Nicholas” and “The Night Before Christmas,” by Clement Clarke Moore is perhaps the best known holiday season poem. The characters of the hit Netflix original series Orange is the New Black got together to recite the poem this holiday season, though they gave it their own little unique twist. 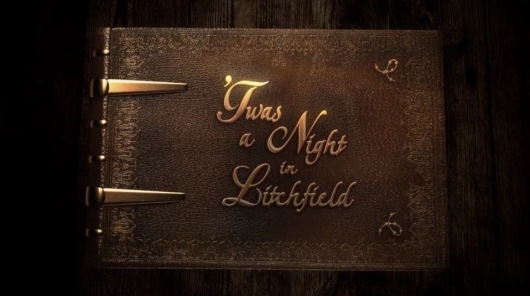 Their version is titled “‘Twas a Night in Litchfield,” and you can watch the video, and even read along with it, below.